For the millions of girls--and the women they grow into--who are mad about horses, who live to ride, who spend more time in stables than stores, who know the difference between a hock and the fetlock, comes a sweet, charming, wise, obsessive celebration of the bond between woman and horse. 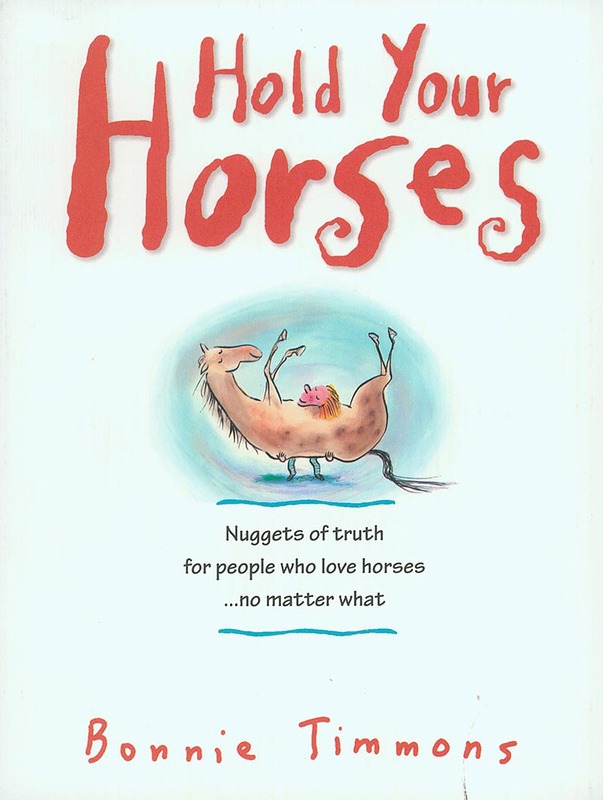 Written and illustrated by Bonnie Timmons, the award-winning artist whose signature squiggly style was seen every week on NBC's hit show Caroline in the City and is featured in places ranging from The New York Times to Fortune 500 advertising campaigns, Hold Your Horses is 144 full-color pages of irresistible pleasure and unexpected horse sense. It starts with First Love, moving quickly to Lessons, including the gallop: a gait so fast your worries can't keep up, and jumping: just throw your heart over first, and, of course, falling-otherwise known as an unscheduled dismount. There are tips on Buying One of These Things, plus the truth about Care and Feeding. (The trick here is knowing how much your horse weighs. Easy, really: 1. Weigh yourself. 2. Weigh yourself holding the horse. 3. Subtract 1 from 2.) And Horsekeeping Truths: A horse knows what you know. He also knows what you don't know. Written out of a lifelong love, Hold Your Horses gets to the heart of the passion that horses inspire. Every horsewoman will see herself in its pages.